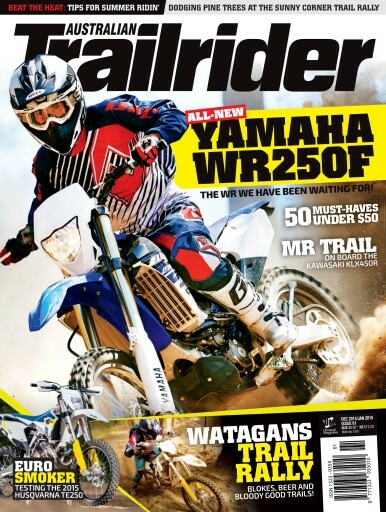 Australian Trailrider 61 is an all-new look and new focus for Australia’s only dedicated trail magazine. 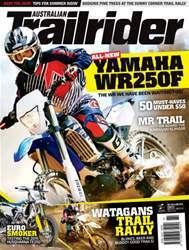 Inside you'll find a full test on the 2015 Husqvarna TE250 and a look at the all-new Yamaha WR250F. We hit the Watagans Trail Rally and the Sunny Corner Trail Rally and dig some trenches with Kawasaki’s KLX450R. New design and all trail content – Australian Trailrider is stepping up and going big in 2015.